When homeowners in Destin, Florida, want to replace the siding on their residences, they often opt for vinyl siding. Why? 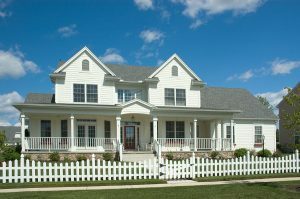 Because this type of siding provides long-lasting benefits for homes of all sizes and types. From better energy efficiency to easier maintenance to a more beautiful look, vinyl siding does it all. And the company to trust for a vinyl siding installation in the area? Majors Home Improvement, a company that has been providing various home renovation services since 1997. There’s no doubt about it – Majors Home Improvement is the company to depend on for a professional and efficient vinyl siding installation in Destin, FL. Contact us today and a member of our team will be happy to answer your questions. We can also schedule a complimentary consultation at this time, as well.